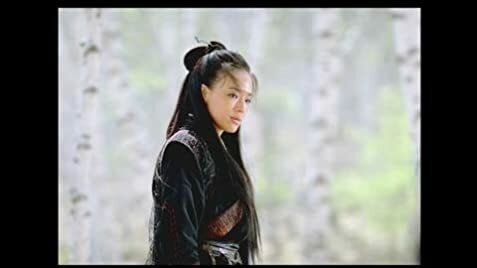 Xia Jing: [subtitled version] The way of the sword is pitiless. Saintly virtues play no part in it. Q: What was dictated by special effects capabilities? Q: Who is the assassin in the golden mask? Q: Is the common synopsis about killing her ex-fiance complete? The camera lingers on a woman, sitting on a bed, partially obscured by silk sheets that blow gently in the wind. The sheets drift apart and for a moment you see her face, contemplative. In a word, this is this film in a nutshell - contemplative. To dispense with any misunderstanding, perhaps brought about by the title, or the brief description and the intense looking protagonist on the cover art, this is not a martial arts action film. The story contained within is a twisted intrigue of politics intertwined with an ill-fated love story and a young woman in emotional turmoil. There are a handful of beautifully choreographed scenes of combat, but in between lie long partitions of setting, silent physical drama and awkward monologues. Making use of some of the most spectacular scenery in cinema, parts of the film have the feel of a cultural documentary. It wouldn't be an exaggeration to think that probably a third of the movie is setting shots of forest, lakes, trees, mountains, hills, goats, people's faces while they do something with their hands off camera, people walking, more people walking, people dancing, buildings at night, buildings in the day, buildings at sunset, buildings at sunrise, grass, person walking in grass, unknown person standing in trees, person looking surprised, then walking away... It's boring, it's beautiful and features some impressive mastery of camera work, lavish costumes and sets that are beautiful but it's also tedious. If viewing a film of this kind for the first time, a person may find it difficult to follow, not because the story is complex but because the story is thinly exposited between lengthy shots that establish very little if anything at all. Subsequently it is easy to lose interest between the action scenes and get lost in the cultural documentary that parses several critical events. 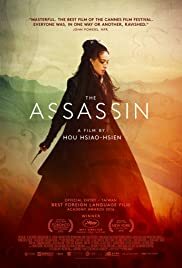 There is an audience for this type of a film - who is looking for something without hollywood glitz, who's tired of the over-the-top melodrama of western politics, who want something beautiful and slow and most importantly is familiar with enough Chinese culture to be able to infer the significance of seemingly pointless scenes. For example, there is something deliberate in seeing a random woman you're sure you've never seen before, standing in a forest, doing nothing. Maybe there's some significance to her gait, because she's a well known actress, and that's supposed to reveal an important relationship to another character. Is that exciting to you? Then sit back and get ready to watch a lot of people who stand there and say nothing, or participate in mundane everyday life events without an explanation. If you can decipher such curious camera angles and what's not shown or even talked about, you too can infer the meaning of this film, which isn't that mind-blowing when you do, but it's fun to participate along the way. While you're doing so, try not to be distracted by the film ration spontaneously switching from 4:3 to 16:9, that just happens... or does it?